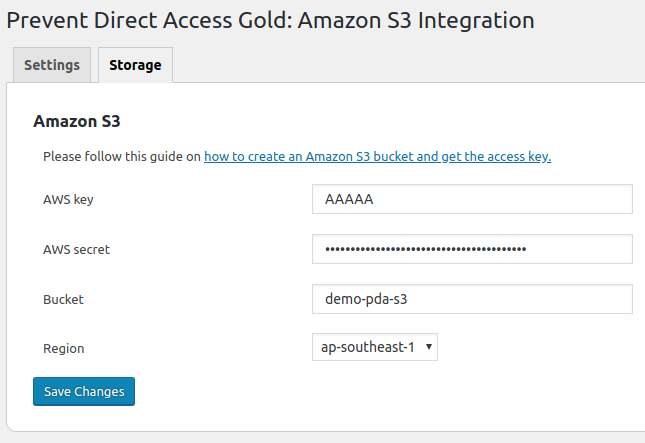 This tutorial will help you create a new Amazon S3 bucket and get a user access keys for our S3 Integration extension as quickly as possible. In AWS console, go to S3 Management Console and create a new bucket. Heading to IAM Management Console to create a new user. Names are case-insensitive and must be unique within your AWS account. Usernames can be a combination of up to 64 letters, digits, and these characters: plus (+), equal (=), comma (,), period (. ), at sign (@), and hyphen (-). Step 1: Set permissions by clicking on “Attach existing policies directly” button and then “Create policy” button. Step 2: Insert the below code to your policy file. Step 3: Once done, double check if everything is alright by searching your newly created policy. Finally, click on “Create user” button. The security credentials for the user including an Access Key ID and a Secret Access Key will be shown to you. Amazon will not display this information again so please download the .csv file and keep them somewhere safe. If they’re lost, you can always create a new set of keys but you cannot get the current secret key again later. Click on “Test connection” and you should be all set.